Bandit’s Color Max coloring system sprays color directly to The Beast’s cuttermill, which thoroughly coats material during processing. Bandit's Color Max coloring system sprays color directly to The Beast's cuttermill, which thoroughly coats material during processing. The Color Max system requires less colorant and water to create the rich, evenly colored landscape mulch that's always in demand. By applying color to the cuttermill, material stays in better contact with color to literally produce more colored mulch with less colorant. On average, the Color Max system uses 25 percent less color and 30 percent less water, according to the manufacturer. “The Beast is already known around the world for producing the highest quality mulch. With the Color Max system you'll maximize profit on your waste wood even further,” Morey said. The Color Max system is available as an option on all models in The Beast lineup. 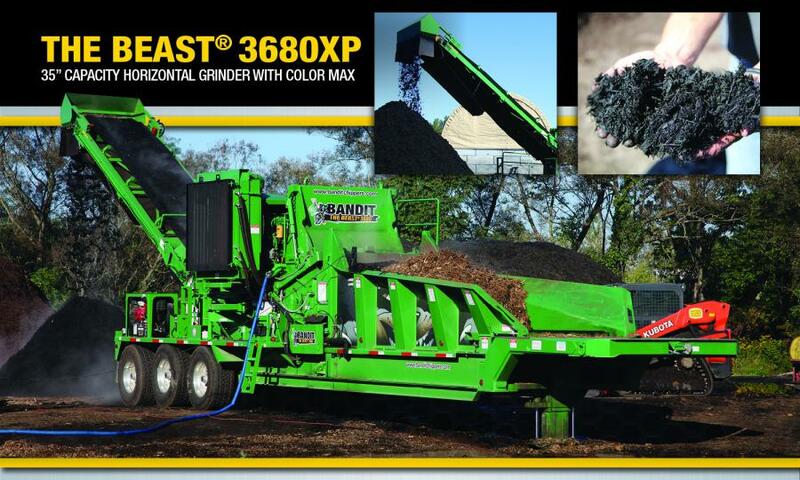 For more information, call 800/952-0178 or visit www.banditchippers.com.